A posh palace is being built on the bank of Istrin water reservoir in the Moscow region. 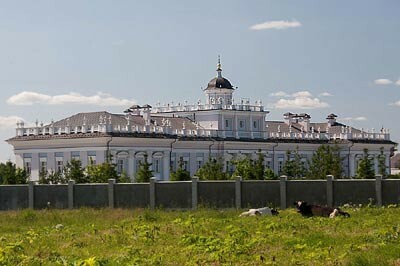 It’s a mansion looking like a huge 18th century palace, which is already informally named “Istrin mansion”. 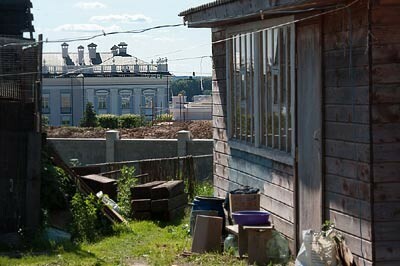 Its appearance, quick development and approximate cost were recently debated in Russian blogs. But still having some guesses about who could own such a luxury, no one has an official confirmation on who the lucky man really is. 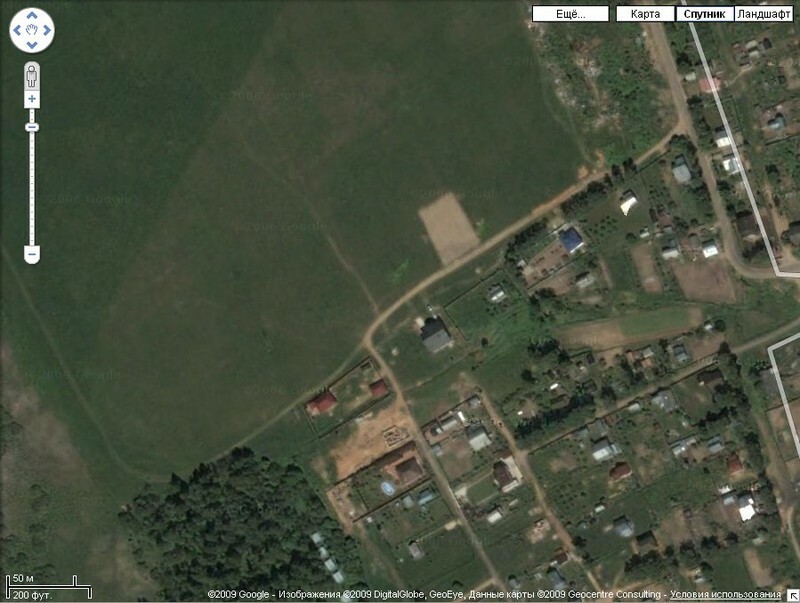 The thing is that this building together with its adjacent lands was earlier presented in Google Maps, but now there are no any marks of it. To be convinced see the photos under the text. We can only guess how serious this person is that even Google hides his property. 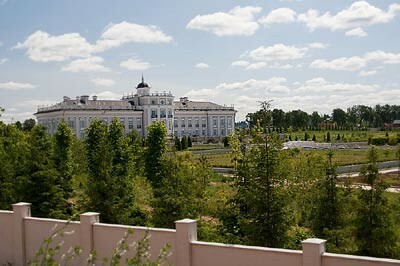 The palatial and park complex is seen from everywhere here in the Berezhki village. 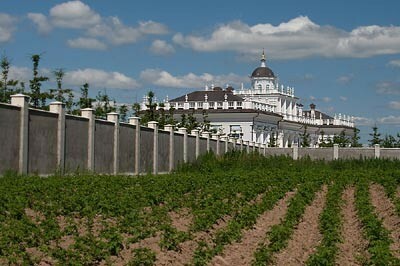 The main building (that’s how it is mentioned in the design documentation) stands in the very center of a huge 31 hectares plot. A roof of a blue pseudo-baroque building is decorated with white vases. The major part of the territory is walled with a high concrete fence. 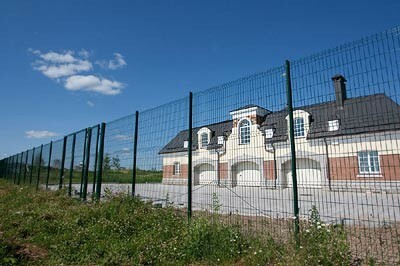 The fence from the side of the bank is netted so one can easily see the other buildings from here. The way from the palace to pavilion is lead by a canal (not filled yet) with a big French-styled park with future fountains along the both its banks. The other buildings here are a garage and a turret with a weathercock built for some unclear purpose. 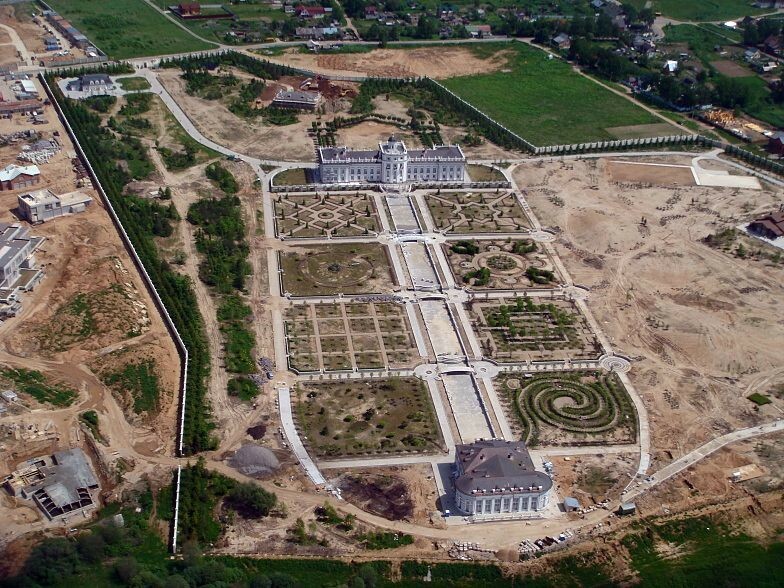 Specialists in architecture state that this architectural complex in whole looks very similar to the famous Peterhof Park near St.Petersburg. Local administration clerks confirm that construction works here have been lasting for about 5 years. One of the local residents informed that he worked at the construction several years ago and he earned quite some money there. He said that there were about 600 people working at that time, now – something about 300. 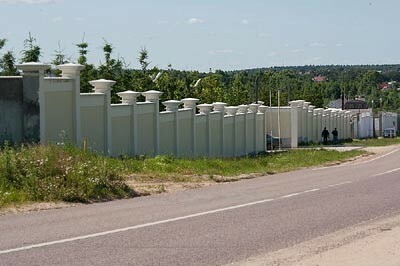 The palace construction site, as well as the nearby built cottages, is guarded by some private security firm. Its representative resolutely informed that he‘s guarding an object of the national importance but refused to specify what the object is and whom it belongs to. 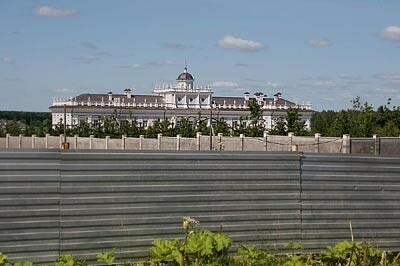 Financial experts evaluated the cost of the land and buildings of the palatial complex equal $16 million and $27 million, respectively. So something about $50 million is the price for your property to be accurately erased from a free displayed satellite image. Not a secret status as it was thought before. The location is not so posh. Remove your house from google maps is free. You just need to ask google (write them email) and provide documents which state your ownership. That is all folks. What are the coordinates? They cannot be seen in the Googlemaps you provided. This estate Reminds me of the estates built on the Chesapeake Bay on Marylands Eastern Shore and across the bridge and bay on the otherside east of Washington D.C. On the Chesapeake Bay in Virginia. It looks to me like someone’s idea of a summer home. I’m ruling this site personally. I can post funny article with your photo, if you want. Where do you from? Poland, Baltics, Czech Per. ? V stop teasing Mr. Putin! I hope this propriety is not filled with dizzying fake gold decoration on the walls. 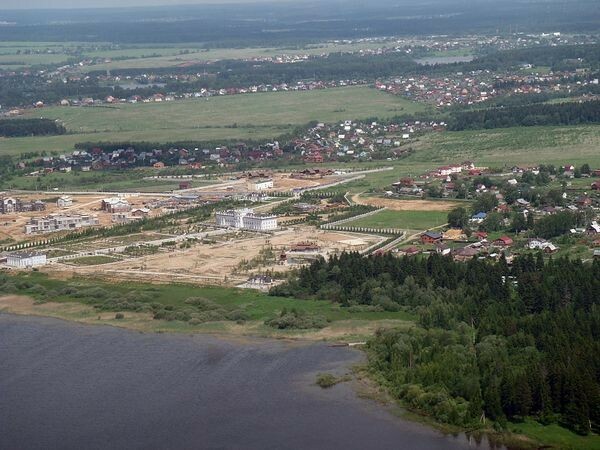 I think Russia will become the next Saudi Arabia of the north, where the rich own oil fields and become kings and the poor become underdogs. Nice Diggs. Glad that they used my ideas for electronic surveillance. Do you happen to know Mr. I. P. Freely by any chance? I know i have a big stick. Oprah has a 50 million dollar home in Montecito, CA. She also has 7 other homes. The 50 million dollar one in Montecito shows up on google. dude… google maps doesn’t update it’s images EVERY FREAKING DAY. It’s still an old satellite image. Look up your own houses, I’ll bet that you don’t still own the car in the parking lot. Chinese have no toilets. We sheet in buckets and hole in ground. You are all twittering fools! 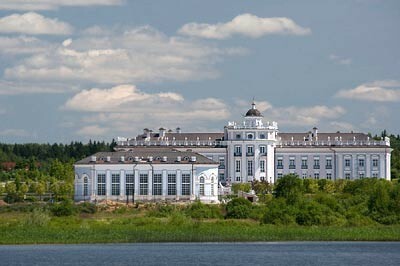 This is Davidhof Palace. It is owned by David Hasselhoff. Why would you believe that someone who crawls around on his floor, drunk, and eating hamburgers while being videoed, would want to have his epic monument removed from Google? What purpose would that serve? Incredible foolishness from all repliers… just amazing. Is Russia getting a new Czar? This house looks like it would fit the bill very nicely but it probably belongs to a very rich old man and it’s for his very young mistress. A nice private place to keep it all very private. 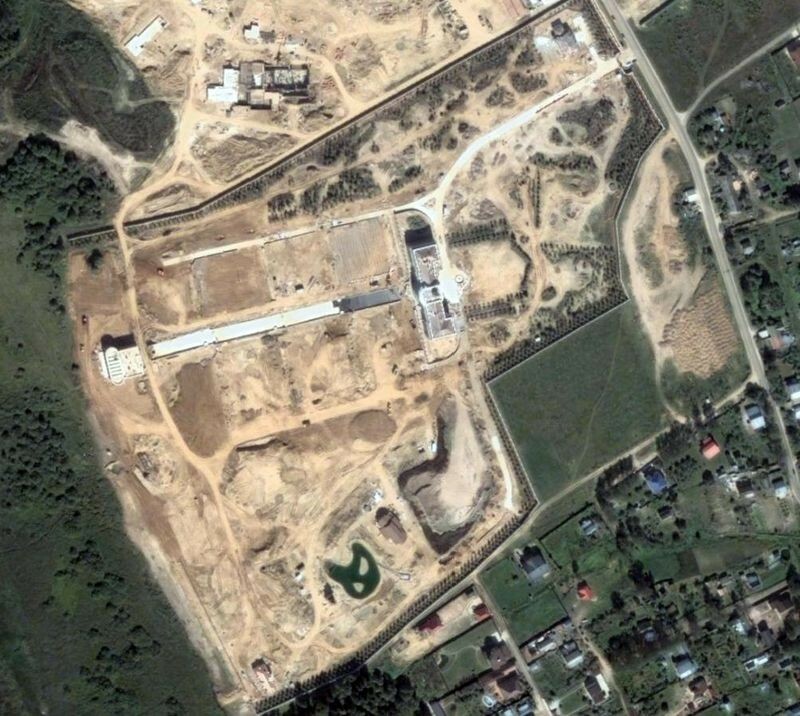 Bing maps has it during construction. Please Provide me the detailed information of the buyers who is interested to buy food additives as well as feed supplements in Russia.